New government is gearing to reshuffle councils of state enterprises; members loyal to IRL will have to go – some, if not all. No voices raised regarding significant sifting of members with Reform Party background. According to Mr Vassiljev, representatives of ministries and other independent members will probably not be removed. Even so, he said it was clear that the members formerly loyal to IRL will have to pack up. «With an obvious background like that, it would be complicated to keep them at management there; and why should we,» added Mr Vassiljev. In political circles, there’s been talk about the former Reform Party financing scandal figurehead Kalev Lillo, sitting in several state enterprise councils, is leaving that of Enterprise Estonia (EAS). According to the Riigikogu member himself, he has been considering that, as, in his opinion the working atmosphere prevalent in EAS council is neither healthy nor professional. «I’ve been weighing whether it’s worth it to waste my time and energy in a place where it is not regarded,» he said. Still, Mr Lillo said the possible retreat from EAS is his thought alone, not related to the new government and reshuffling to come. In media, it has been repeatedly pointed out that ministers of power parties appoint large-scale donators or persons loyal to the parties to seats at state enterprise councils. 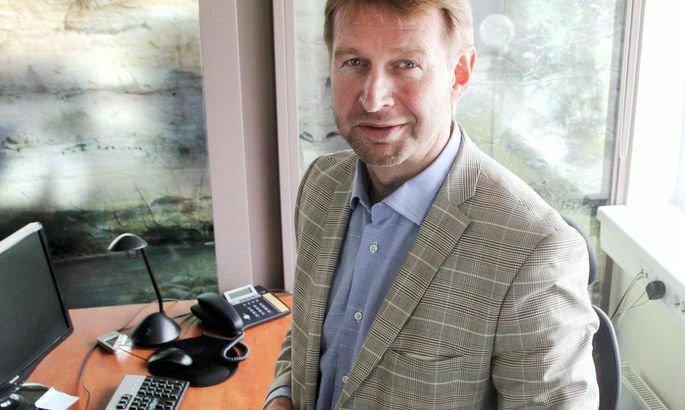 Olari Taal, member at Eesti Energia council, did not believe Reform Party would give up its major donors. «Why would they be changed? I don’t think that they will be,» said he. Up to now, squirrels have been receiving abundant financial support from such state enterprise council members, for example, as big businessmen Märt Vooglaid, Toomas Luman, Alar Tamming, Urmas Sõõrumaa, and – earlier – Neinar Seli. Finance minister Jürgen Ligi (RE) and economy/infrastructure minister Urve Palo (SDE) were not willing, as yet, to comment on the councils. Prime minister Taavi Rõivas (RE) opted not to answer the questions altogether. In addition to EAS, conflicts have also happened at Port of Tallinn, caused by its council decision, as of October 2013, to donate €250,000 to Estonian Olympic Committee (EOK); as well as the fact that the chairman of the council and also EOK president Neinar Seli did not withdraw himself from decision-making. In November, Central Criminal Police corruption crimes bureau and Office of the Prosecutor General initiated criminal procedure to investigate circumstances around the donation by Port of Tallinn to the Olympic committee. State Prosecutor Steven-Hristo Evestus said yesterday that he had brought the charges, filing them at Harju County Court. The new coalition partners don’t deem it necessary to ban sponsorship by state enterprises. Still, Mr Vassiljev said they’d like to lay down definite principles, pursuant to which state enterprises will be doing their donations in the future. «That should be understandable to the public and it should be clear, whom an enterprise is supporting, why and by how much,» said he.